Amazing bee honeycomb structure for centuries can cause a surprise for people. Wax, produced by worker-bee – a valuable gift of nature, we tell about uses of bees wax in medicine, cosmetics and household. 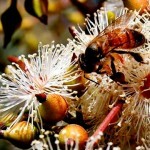 Honey bee wax – the second most important product of beekeeping. As the active ingredient, it has a number of unique properties. Wax has been used in medicine for a long time. Even in ancient times people knew of its anti-inflammatory, emollient and wound-healing properties. The famous physician and scientist Abu Ali Ibn Sina (Avicenna) recommended the use of wax as a means of improving the lactation of nursing women, as well as providing cough relief and expectorant action. In ancient Egypt wax was widely used in the sacrifices, in embalming of dead bodies of people . Famous roman naturalist Pliny wrote that “all sorts of wax have properties to soften and warm, fresh wax is the most useful for the renewal of the body”. The old handwritten medical references stated that the “wax soften all the sores and compress with wax and violet oil relieves the severity of the breasts, boils, soften veins and wounds”. From ancient times until the invention of writing paper people used flat wooden boards, coated on one side with an even layer of wax, which is applied to the letter. Homer mentioned in his writings about the application of wax (such as pieces of waxed cloth). For centuries, artists have used encaustic, which has a beautiful sheen and durability. Not only literature, but also the archaeological site evidence it. Thus, in the excavations of Pompeii was discovered wall wax painting, decorating living-rooms of rich people many centuries ago. Despite the fact that the wax painting was under the ground for centuries, it has retained the beauty and brightness of colors. Although new techniques removed wax painting at present, wax remains an integral part of oil paints. Beeswax is widely used and in sculpture. In Russia, the wax busts and plaster casts were made in the XVIII century. There are numerous well-executed wax portraits, striking in its elegance. Beeswax has a great importance and for production of medical casts, which play an important role in the learning process. They make it possible to see the disease, especially skin, the manifestations of which are found very rarely. Until 1918, beeswax was used primarily for the manufacture of church candles. Modern scientific research confirms that the beeswax of honeycombs has remarkable healing properties. It is widely used in the pharmaceutical and perfume industries. From wax people make candles, medical casts, busts and statues. 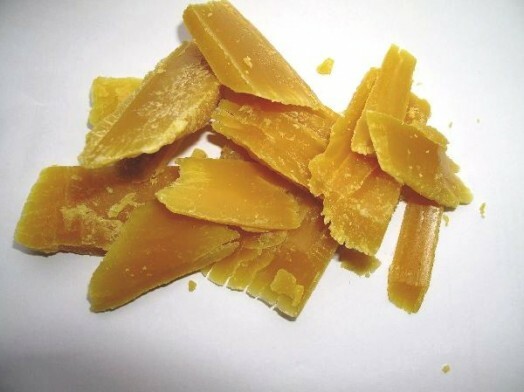 Beeswax is also used in metallurgy, electrical, electronic, printing, textile and glass industries. 80% of bee wax beekeeping consumes as honeycombs. Young bees aged 5-15 days secrete wax with a special wax glands, which are located on the lower side of the abdomen. To secrete wax, young worker bees feed on pollen, which is a source of protein and other biologically active substances. Bee colony growth depends on a harvest: the higher it is, the more young bees, that in turn leads to increased production of wax and honey. 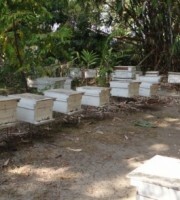 Under favorable conditions and with a good harvest one bee colony can give an average of 1.5-2.5 kg of wax in a season. 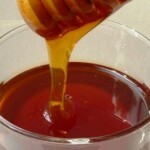 To increase the production of wax and honey, it is recommended to feed honey bees by ambrosia mixture. To do this, 100 g of pollen or is mixed with 100 g of honey, 2 cups of water and 2.5 g of baking soda. Every day you give 200 g of this mixture to one bee family. If in addition to feeding you put in the family the second queen, which raises additional number of young bees, one bee colony can produce up to 6 kg of wax in the season. Number of family Food for the hive for the day, g. Secreted wax on average per family, g.
Quantity of bees in the family Secreted wax, g.
Wax was secreted most intensively by strong bee families, consisting of naturally formed age groups of bees. As you increase the mass of the family from 0.5 to 4 kg the quantity of wax naturally increases. Thus, the larger family size, the more honey and wax. Strong family during the spring and summer can secrete 2 kg or more of wax to build combs without much effort, therefore, beekeepers must use the period of the wax-producing for building of the combs and wax accumulation in the apiary. Bee-toilers have special wax glands, located on the last four abdominal semirings. At the age of 3 to 5 days they begin to secrete a thin layer of wax, but the wax glands reach the greatest development at the age of 12-18 days, especially in the presence of pollen and honey in the hive. Hundred wax platelets weigh only 25 mg, and one kilogram of wax consists of 4 million. Bees build honeycombs from these tiny wax platelets (bricks) . Bee consumes 13 mg or 50 plates of wax for one bee cell, and the drone cell – 30 plates or 120 mg of wax. Beeswax has excellent physical and chemical properties. He is a solid at room temperature. When the temperature rises to 38-40°C (100 F), it becomes soft and can take any form. At a temperature of 70-73°C (15 F) it is a liquid, but boils at a much higher temperature than water. When heated and cooled thin layer of wax does not crack. It is impervious to water and is not included with it in chemicals. Wax is a non-perishable substance and can be stored without the slightest change for a long time, the quality is not reduced either by time or by the heat or the cold, or by moisture or by light. Wax is not afraid of any pests, it is not afraid of any mold, moth and mouse. Ingots of beeswax, preserved without changes after long stay in the water, were found on sunken ships. 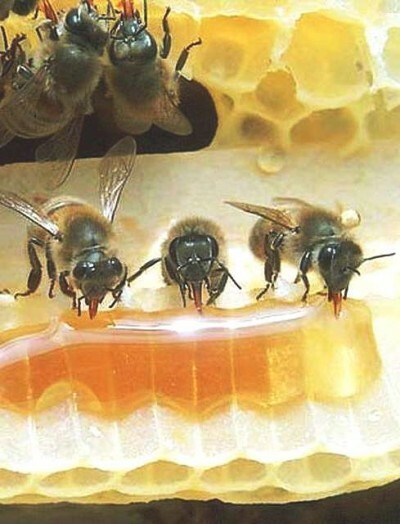 Wax produced by bees has different purposes: the cover (protects bees from moisture) and construction (used for the construction of the combs in which worker bees lay honey, pollen and breeding). Bees are not only founders of wax, but first-class architects. They make a wax honeycombs, hexagonal cells of which are very suitable for honey bins, storage facilities for pollen and cozy cradles for posterity. Honeycombs are composed of cells. Depending on the application, they are of four types: bee, transitional, drone, queen. Most cells are for the worker bees and food – honey and pollen. Honeycomb cell shape is a hexagon with a triangular bottom. The bottom of one chamber at the same time is part of the bottoms of the three chambers of the opposite side of the cell. 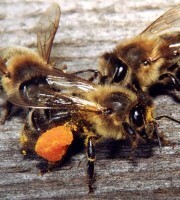 The depth of each of them – 10-12 mm (0.39”) (the southern bees – less, the northern – more). Chambers have the form of equilateral hollow hexagonal prisms. A large number of parallel rows are set horizontally with cavity on waxy leave-mediastinum and are located as follows: two parallel walls of the prism stand upright, two pairs of other walls are inclined to the horizontal plane at an angle of 30°. At the bottom position of the cell in the honeycomb is horizontal, then it acquires the bend upward. Charles Darwin, studying the life of bees for a long time, emphasized that “only a limited person can look at honeycomb structure without coming in amazement”. In the opinion of many prominent mathematicians bees resolved a very difficult task to arrange the cells of necessary volume in order to put there the greatest possible amount of honey, using less of precious wax. Cells contain pure wax, unwax substances, insoluble materials (cocoons of larvae, ambrosia) and substances that are soluble in water (honey, feces), different litter and water. Just built cells are from white to cream color, and contain about 100% of pure beeswax. Cells in which bees and drones were bred several times, gradually become dark yellow, then – brown, and finally, completely black.There is 75% wax in yellow comb, in brown – 60%, in the dark – 40% wax. Honeycomb without honey and brood is called the dry one. Secreted from wax glands wax solidifies on wax mirror as tiny plates that serve as a great building material. Bees build from it cells for honey, pollen and offspring. After the breeding season excrement of larvae and their cocoons remain in the bottom of the cells. Bees clean cells for the following generations, but it is impossible to completely clean them. So over time the cell gets dark, cells become smaller and offspring, derived in the comb becomes smaller and less viable. Also, wax moth larvae and other pests quickly infest the old, served for about 3 years combs. So you need to discard old cells annually. Depending on wax-containing cells are divided into three classes. The first class includes cells with 70% or more wax. It shines well, dry, can be white, yellow or amber. There is no honey, pollen and other impurities. Class II has 55-70% wax. Dry, translucent at the bottom, it has a dark or dark-brown color, without honey, pollen and other impurities residues. This group includes the cells of first class with the content of ambrosia in it no more than 15%. Third class – 40-55% wax. It has a black or dark brown color, not translucent, without admixture of honey and is intact by wax moth and mold. The same class includes light cells with a high content of ambrosia. If cell does not meet the requirements of three classes – it is equated to sweat. Sweats should have crumbly lumpy structure, retaining the shape of honeycomb cells, the maximum size of lumps – not more than 75 mm (2.9”). Color is from light to dark brown, and wax remains from factory is from dark brown to brown. Waxy materials should not contain extrinsic substances, solids content should not exceed 1%, and the moisture of raw materials – 10%. Should not be infested by wax moth. Waxy materials should be stored in a well ventilated area in the apiary. Boxes and containers with collected raw wax should be put on short time in basements or dry cellar. If the room temperature exceeds 10°C (50 F), the wax materials must be compacted in the tank, and then be covered with a layer of melted wax in order to prevent access of air to the main mass and avoid the danger of wax moth. The growth and development of the wax moth depends on the temperature of the environment: at the air temperature 30-40°C (86-104 F) it develops most rapidly, at temperatures above 40°C (104 F) metamorphosis slows, at 45-47°C (113-116 F) moth larvae die for 20-25 minutes and at a temperature of 55°C (131 F) moth dies at all stages of development in 10 minutes. With decreasing temperature the growth of moles slows, and at 10°C (50 F) and below the development of its stops. Prolonged exposure to cold (even easy) kill wax moth in all stages of development. Spare cell and wax stored in the cold are completely disinfected. Prolonged storage of raw wax, especially in the summer, is only possible with its fast processing. Waxy materials are recycled in the apiary, as it accumulates, preventing the appearance of wax moth. Culled honeycomb with moldy bee bread , sour honey, dead brood quickly quickly get moldy and rot. Usually you should drip wax out of these combs immediately after culling. Culling of combs is made twice a year: in the spring, after a major revision, and in the fall, after the assembly of bee colonies for the winter. 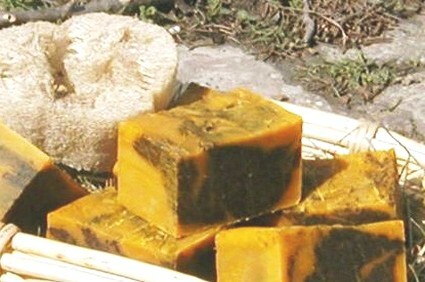 Honeycomb, culled from families affected by infectious diseases, it is necessary to process in wax immediately, after boiling them in water for 2.5 hours. Well dried sweats and wax remains can be stored for a long time. Allowed to store them in the warehouse, placing a layer of 1.5 cm (0.59”). The factory wax remains can be stored under cover, on hardened ground, protected from falling rain. During storage, moisture of waxy material shall not exceed 10%. Wax remains received from the comb, damaged wax moth, get moldy even with fast drying after processing, so it must be dried and stored separately from the healthy wax remains. 3. extraction of raw wax materials from wax remains. Extractors, depending on the method of heating of the raw material, are solar, steam, water and furnace. Easiest and cheapest way to get wax is a solar extractor. It can handle only raw materials with high wax-content – just built combs trimming (without cocoons), cleanings, cuttings, etc. In a properly designed solar extractors under favorable conditions, the temperature rises to 100°C (212 F), that is, to a level well enough to melt the wax. Wax-furnace is set at an apiary in sheltered from the wind place so that the sun shines on it during the day. Solar extractors is a box of square or rectangular shape, in which is set slanted tray (pan) of white tinplate for raw material and vessel to collect the wax. To the body of extractor is attached the hinged roof with two well smeared on joints glasses. Sides and bottom of the case of extractor on the inside is covered with heat-insulating material, sealing of it is achieved with foam rubber pads, placed between the body and the roof, with the same purpose you can upholster with felt the edges of walls of the case. The roof is attached to the body by a special cap. Dry wax materials are placed on a metal tray, where under the influence of high temperature wax melts and flows down on an inclined plane in the trough. Wet raw material is impossible to melt, as the moisture in the extractor evaporates, settling on glass, and extractors work unsatisfactorily. Melting of wax is made at an ambient temperature above 25°C (77 F) in the sun. The higher temperature of processing, the more wax you get. The temperature in the extractor is maintained at a high level, when the rays of the sun fall on the glass perpendicular, so during the day extractor should be turned several times on its axis, putting the glass in direct sunlight. When wax is heated and drained into a vessel, sweats are poured from the tray and placed the fresh raw material. Sweats from the solar extractors contains 43-58% wax, so they once again are processed by squeezing on wax-presses, extracting additional more than half of wax. Processing of waxy material on steam extractors. Extractor consists of an outer and inner tanks or cassette for loading of waxy material, cap, water inlet, drain pipes and tube extender. The walls of the inner tank have openings for steam to escape. Before start, extractors are filled with water through filler up to the level of holes of the drain tank. Then you place in a drawer about 3 kg of raw material, close the lid and put on a heater. Boiling water produces steam, which gets into the cassette and melts the wax. Wax flows through the drain pipe in the special bath. After extracting the wax the cassette is removed, sweats are removed and the cassette is loaded with a new portion of raw material, and the cycle repeats. One cycle takes about an hour. 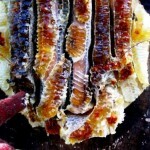 Processing with wax-press – one of the main ways of processing of culled combs ans sweats of apiaries. When using it in addition to a wax-press you should have a tank for boiling the raw material. Technological process of using wax-press includes four steps: soaking, boiling, pressing and keeping the wax. At first wax is soaked in cold or warm water for days, then is shifted to the tank and tenderized well in water as long as it does not turn into a soft even mush without any solid lumps. Mass is boiled for 20-30 minutes, stirring occasionally. In the presence of rot diseases in the apiary heating is continued for 2.5 hours (killing all germs). Well boiled in water raw wax is pressed. To improve the quality of wax you make a long (up to three days or more) uphold of it on the water, prolonging the time of the hot molten state, and the process of settling of the various solids (scraps of cocoons, parts of dirt, etc.) is more intense. For upholding of wax is recommended to take a deep bowl of small diameter, extending upward (this facilitates the removal of congealed wax). At the bottom of containers you pour a little of hot water, and then – melted wax. Container is covered with a lid and well insulated from the sides and top. At the bottom of the ingot of wax isadmixture (dirt), which can be cleaned and wax is upholding again. Therefore you remove from the wax only rough mechanical impurities and water emulsion. From fine impurities and pigments wax is purified by treatment with a solution of concentrated sulfuric acid, or adsorbents (activated carbon, diatomaceous earth and fuller). You should know that the wax can get pesticides, insecticides, fungicides, which are used in agriculture and for the preservation of bee honeycombs from pests. This wax is not suitable for medical and cosmetic purposes. In some industries they used a bleached wax. Whitening of wax is made in two ways – by sunlight and chemicals. When sunlight bleaching – you cut slices of wax, and spread a thin layer of it in the sun with the obligatory oxygen access, periodically wetting and repeatedly melting down. Whitening of wax requires 10 to 60 days, depending on the degree of contamination. Whitening of wax by chemicals is based on the decay of impurities of emulsifiers and pigments. For these purposes they use 0.01% solution of potassium dichromate in acidic agent and 20% alkaline solution of hydrogen peroxide. In addition, for the guy of wax they use borax and chlorine. Beeswax derived from sweats and other low-quality raw materials, can be bleached with concentrated sulfuric acid. Beeswax can not be obtained by artificial means, because it has a very complex chemical composition, so much of the varietal bee wax is used to make honeycombs. Frames with honeycomb – are incomplete cells that are finished by bees themselves, building walls of the cells. Falsification of wax is a mixing any substances in beeswax. Substances, connecting or stirred with wax mechanically (chalk, clay, plaster, starch, white, bone or chickpea flour, sulfur, etc. ), as well as forming with the wax homogeneous mixtures (paraffin wax, stearin, ceresin, various resins, spermaceti and other chemicals) can be added to the wax. You can detect them in wax by using different and sometimes complex ways of research. You should, however, have in mind that the beeswax is almost always contains various impurities that get into it as a result of the negligence of beekeepers of the apiary or processing of waxy material. Sometimes in the fatty acids of wax metals are dissolved, the content of which can reach 15%. Therefore, equipment for processing of raw wax and wax tanks are made of aluminum, nickel, stainless steel and wood. Iron is not suitable for this purpose, as the wax in contact with it acquires a brown color. Processing and storage of wax in a pot made of galvanized iron leads to dark-gray color of wax. Copper (red) is readily soluble in fatty acids of wax and paints it in gray-green or blue-green color. To determine the purity of the wax you place into the tube some of its pieces and heat in a water bath until it is completely dissolved. Pure benign wax should not have foam and sediment.When boiling beeswax with water the melted wax surfaces and mechanical impurities or sink to the bottom (chalk, gypsum, sulfur, etc. ), or mix with water and form a suspension or emulsion (clay, flour, etc.). To determine the amount of solids you should dissolve the wax in a tenfold volume of turpentine, kerosene, gasoline and other organic solvents of wax during heating in a water bath. The resulting hot solution is filtered through a filter made of filter paper. The filter is then washed with a small amount of petroleum ether or low-boiling gasoline, dried and weighed. The difference in weight of filter will determine the number of extracted impurities. Flour and starch content in the wax is determined by adding of iodine to the aqueous solution, obtained after boiling of wax in water. For prolonged storage, especially in cold weather, the wax shows a gray patina. It should not be attributed to mechanical contamination or development of mold. If the patina is removed, it appears again. On microscopic examination of the gray patina you can find small white crystals. There are many ways to determine the fake wax, and in the laboratory. The most common way to determine the quality of the wax is a dipping of a piece of wax into 44-degree alcohol, a natural wax sinks to the bottom, and falsified – emerges. To determine the content of wax in the sweats or wax remains, you must take a bag of nylon fabric and place in it carefully chopped 50 g. of waxy material. Filled pouch is dipped in boiling water and drained periodically to squeeze out a wax, which then floats to the surface of the water (it is recommended to keep the bag in a water depth). Wring out a few times, then heating is stopped, and the water gradually cools. On its surface there is a circle of wax, which is taken out, dried and weighed. These data make it possible to calculate the content of wax in the material. This method determines the quality of the wax in the dry material. More accurately determining of the wax content in dry material can be achieved by extracting it with gasoline. To do this, the flask is filled up to half with the petrol. In the upper part you hang the exactly known amount of waxy material. The flask is tightly stoppered with a cap, in which you insert a long glass tube and heat in a water bath. Gas is heated, steams gradually climb the narrow tube, and in the upper part they are condensed, and these drops fall into the bag with a waxy material, dissolve the wax and drain into the flask. At the end of the extraction bag with raw wax is removed, dried and weighed again. The difference in weight before and after extraction will show the number of wax contained in the wax material. The chemical composition of the wax varies greatly – depending on the origin and the supply of bees wax and conditions of obtaining, etc. The composition of the wax has around 300 different substances, for example, esters, hydrocarbons, free fatty acid, flavorings, water, dyes, mineral and other substances can dominate. The main component of waxes are esters (75%), formed by palmitic and others acids and alcohols. In addition, the wax contains cerotic and oleic acid and alcohols. Cerotic acid – the most active part of the wax, and it can react with most metals, and with alkalis. Wax color depends on the dyes that go into it from propolis and pollen. Flavors go into the wax mostly from honey, that is, from the plants from which the bees collected nectar. Wax is soluble in gasoline, chloroform, turpentine, etc. Free fatty acid of wax dissolve some metals, forming colored salts. Thus, in contact with the iron the wax gets a brown color, copper paints it in green, zinc, dissolved in wax, gets dirty grayish color. Wax is very durable material and can be stored for hundreds of years without losing its properties. Thus, ancient Egyptian pyramids have pieces of wax that have retained their quality. Wax is solid, on the fracture has a granular structure. It burns with a luminous flame. Melting of wax – from 62°C to 72°C (143-161 F). Freezing of wax – from 60,5°C to 64°C (141-147 F). In recent years, there are a lot of cases of fake wax. Basically they add paraffin, resins, etc. The presence of these substances in the honeycomb leads to the fact that bees do not rebuilt cells on it, it warps, deforms and breaks. To determine the natural wax they apply organoleptic control and physical-chemical research. Unfortunately, collectors often do not have special laboratories and rely only on sensory characteristics, but this way you can fairly accurately establish fraud wax. Having an idea about the requirements for natural wax, you can easily determine the falsify impurities. Falsify wax materials do not contain free fatty acids and esters (Table 4), so adding them to the wax reduces the number of acid and ether, and the addition of stearin and rosin increases acid number dramatically. Organoleptic parameters to determine the fake wax. Natural beeswax has a special wax, sometimes honey smell, color of it is from white to dark yellow or gray, it is fine grained, when you hit with a sharp end of a hammer the edge of the ingot, you will break off a piece. Chips, obtained by scratching the ingot with the sharp end of solid object (a nail or a knife), are curled in a long spiral. Two pieces of wax, if are kneaded by fingers, stick together, without dirtying your hands. Conditioned beeswax must not have a layer of dirt on the bottom of the ingot. On the storage center for the organoleptic study of wax large pieces need to be partitioned into parts, because inside there may be nails, stones and other foreign inclusions. The hardness has a great importance in determining the quality of the wax. The number of seconds, that is needed for the needle with a cross section of 1.5 mm (0.059”) with a load of 1 kg to penetrate the wax for 1 mm (0.04”), shows hardness factor. It was found that the hardness factor for the apiary wax at 20°C (68 F) is 8-14, for press – 1-6, and for the extraction – even lower. Thus, the ratio of hardness of various types of wax ranges from 1 to 14 mm (0.04 – 0.55”). To determine the hardness of the wax you should have a special instrument. By mixing natural wax with technical its structure is violated and it becomes so viscous that it can be cut with a knife. This property is used for the determination of falsification: if you hit with the sharp end of a hammer the edge of the ingot, then, in the case of technical impurities wax forms a fossa and a piece of wax from the ingot is not broken off. Mixing a natural product with paraffin is recognized by specific moire pattern in the form of corrugated spots, arising on the surface of fake ingot. When you add 20-30% paraffin, the spots appear in the center of the ingot, with 40-50% – are distributed over the entire surface, with 60-70% – moire pattern moves in longitudinal white stripes. When the wax content is 80%, the alloy surface is flat, smooth, and without the characteristic patterns and stripes, that is similar to the surface of the paraffin. By mixing to the wax 25% paraffin and over the light scales appear in a place of split, which are unusual for natural wax, their number increases with increasing of concentration of impurities, which is characteristic and of pure paraffin. Smell and taste of paraffin are felt with the addition of 20-25% of it, these qualities increase with the increase of its concentration, and the edges of ingot have translucence, increasing with increasing concentration of the paraffin. Knife slides, when you cut the wax, containing 30-35% paraffin. Balls become greasy, smooth, shiny, you need some force to dazzle them. The plasticity of the ingot is gradually lost, because paraffin has no such characteristic. The cut surface of the fake is matte, and only when you add more than 40% paraffin, it becomes shiny. When you scratch with a knife containing 60% paraffin wax, shavings are spiral, with the content of 70-80% paraffin it begins to crumble (pure paraffin does not form shavings). Admixture of ceresin, which in appearance is not very different from natural beeswax, leads to moire patterns (spots, blotchiness) on the surface of the counterfeit. If ceresin content is up to 7%, the wax has a wavy surface, when you add more than 7%, there is a moire pattern, wax is sticky, there are smell and taste of kerosene. Chips are brittle, shear is shiny and smooth. Wax mixed with resins (rosin, and resin) sticks to teeth and causes specific taste, when you chew it, a large amount of resin makes it sticky. When you rub the wax between your fingers or heat it has turpentine smell due to impurities of the resin. Wax mixed with stearin becomes fragile and brittle, not wrinkled between the fingers, the edges of bars are not shined through, there is a flavor of stearic candle, when you chew it. Wax mixed with fat, has an acrid unpleasant smell, when you burn it on a hot plate. 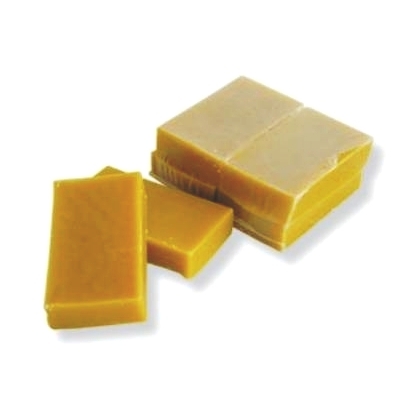 When you make an ultraviolet irradiation, natural beeswax usually has weak fluorescence or light greenish light. In the presence of ceresin the bright pearl whitish fluorescence with a blue tint appears. Admixture of paraffin leads to a fairly intense luminescence, having a blue tint. Admixture of rosin gives a blue fluorescence. Presence of falsifying impurities in the wax you can find even at 20-30% of their content. But this requires skill and extensive practical experience of examiner. Therefore, a more accurate result can be obtained with the help of simple chemical reactions. • For the determination of impurities of paraffin and ceresin you can use a reaction with an alcoholic solution of caustic potash. In a chemical test tube you put six tablets of potassium hydroxide, add 5 ml of ethyl rectified spirit, add 0.5-1 g of wax (1-2 pea). The tube is clamped in the holder (plain paper can be folded in several layers and wrap the tube) and gently bring to the boil over a spirit lamp flame or on a hot plate, boil for two to three minutes. In the presence of paraffin or ceresin small balls form in the solution, that gather after cooling at the surface in the form of a ring. Handle with an alcoholic solution of potassium hydroxide should be cautious; hole of tube when heated must not be directed to someone’s side. • Determination of impurities of mineral waxes. Piece of wax up to 1 g is placed in a test tube, add 3-5 ml of a saturated solution of potassium hydroxide and is heated to boiling. Pure beeswax is completely dissolved to form a clear homogeneous solution. In the presence of impurities of mineral waxes in the solution the fat globules form, which, after the termination of the boiling of the liquid, gather on the surface and form a transparent layer. • Determination of impurities of rosin. The test tube is filled with 5-10 ml of alcohol, diluted with water at a ratio of 1:2, and is added a piece (1-2 g) of (rosin) wax, then you boil it for a few minutes, then the mixture is poured into another test tube and diluted with an equal amount of water. In the presence of resins there are white haze. • Determination of impurities of animal fat and stearin. You pour 10 ml of a saturated solution of borax in a tube and add there 2 g of wax, then boil for one minute and cool. If there is a milky haze, the wax contains animal fat (lard) or tallow. Slight turbidity and emersion of wax to the surface indicates the absence of impurities. • To determine the admixture of stearin you take wax sample (0.5-1 g) in the form of fine particles and slightly heat with 5 ml of lime water. You can prepare the lime water by dissolving of slaked lime in distilled water: lime is diluted in water and is allowed to stay: clear liquid at the top is lime water. In the presence of stearin water becomes cloudy. Pure wax does not make haze. • Percentage of paraffin (hydrocarbons) in the alloys is determined as follows: weigh 0.10-0.12 g of alloy and transfer to a conical tube of 100 ml, add 20 ml of gasoline with a boiling point 65-75°C (149-167 F) and keep for a few minutes in a hot water bath or hot plate, stirring solution of rotational motion (without shaking) to dissolve the wax. Then pour the gasoline solution of wax into the chromatographic column, filled with silica gel and washed with petrol. The filtrate is collected in another tared tube of 100 ml. Tube from a petrol wax solution is washed three times with 5 ml of gasoline, and each time it is poured into a chromatography column. The column is also washed three times with 5 ml of gasoline. From the resulting filtrate you evaporate (distill) gasoline, and the residue remaining in the tube is weighed and you can determine hydrocarbon content in percent. • Increased water content in the wax also affects the quality of manufacture of a honeycomb – it becomes muddy, less solid. Therefore, in determining the quality of the wax it is necessary to determine this characteristic. 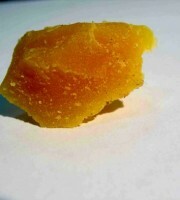 The piece of wax of 5.0 g is weighed on technical balance to the nearest 0.01 g and placed in a pre-dried and weighed glass. Placing a sample in it, dry it on a hot plate at a temperature of 160-180°C (320-356 F) until there is no more air bubbles and the emergence of a light haze. Then the glass with wax is cooled in air for 5-10 minutes and weighed. 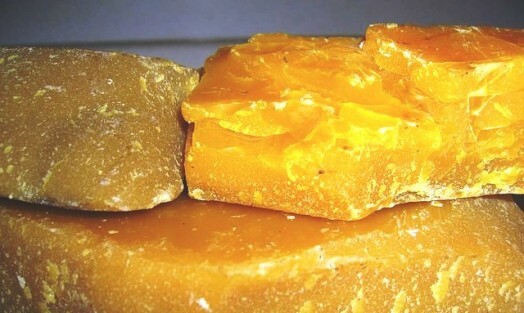 Humidity of wax is determined from a percentage from the difference in the weighing before and after drying, referred to the weight of the wax. Bee wax shall contain not more than 0.5% water. If there are doubts about the quality of wax, you should send the sample, weighing not less than 300 g to to a laboratory for research by the physical and chemical indicators. Culled frames are often moldy and dirty, but you can get a good wax. You should cut cells from the frameworks (you can not cut, if size permits) , fold into a container, add water, heat to 60-70°C (140-157 F), and then mix it well, you can grind with your hands. Honeycomb should collapse. 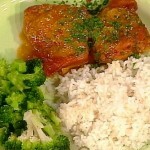 It is necessary to keep the mass about 10-12 days and daily stir. Usually the mixture begins to ferment on the third day and has the unpleasant smell (so do a better job in the summer and on the street, put the bowl with the honeycombs in the full sun). After 10-12 days you pour small amounts of soaked raw material in a prepared gauze bag and immediately wash under running water for as long as the content is clean. The bag must be constantly rotated to better wash the raw. After that, put washed cells in the enamel, stainless or aluminum cookware, pour more water, put on the fire and boil for 15-20 minutes. In advance you should prepare for pressing of wax. To do this, take a board with the length of about 2 m (6.56′), with a width of 25 cm (9.84”) and a thickness of 25-30 mm (1-1.2”). At one end you make bumpers, height 10 cm (3.93”), 50 cm (20”) long and 25-30 mm (1-1.2”) thick wedges, length of 50 cm (20”) at a distance of 15-20 cm (5.9-7.8”) from each other. It is the bottom board. Top boards is made little narrow,so when you press wax it enters into the bottom one, but you make the wedges as well as on the bottom one. Ends of boards are connected with a ladder by drilling two holes with a diameter of 8-10 mm (0.31-0.39”). Ladder is made of 6-8 mm (0.23-0.31”) wire, which is threaded, and the metal plates. Take gauze (1.5 meters) (4.92′), fold in half and filter 2 l of mixture (67.6 oz) (no more) through it into the bucket. The ends of the gause are torqued. The bag with raw materials is placed on a board and squeezed, while turning it several times. All the pressed raw is poured with cold water. When it hardens, it is again rinsed with water and put on the fire. Melted wax is filtered through two layers of gauze, carefully remove the foam with a spoon. Then put the container (the well-wrapped) to cool on the day. The result is a good wax .Bar is cleaned at the bottom with a curved knife . Thus you can get 130-135 g of pure wax of the first class from the standard frame. Wax – a biologically active substance with high bactericidal properties. It has long been used in medicine, especially combined with honey. It is the basis for many pharmaceutical and cosmetic preparations. It is used for the manufacture of medicated creams, ointments, patches, and it is a part of the healing candles. In the treatment of obliterating endarteritis they used mastic, which includes wax. Folk medicine uses beeswax in the treatment of lupus, boils, sore throat, stomatitis, periodontal disease, colds and other illnesses. You can apply ointment of wax and butter, which has a good effect and leaves no scars when you have lupus. State Pharmacopoeia provides manufacturing of plasters, ointments, creams only on the basis of beeswax. Among these drugs are strapping, tape of blister flies, mercurial plaster, plaster soap, camphoric ointment, cream wax, spermaceti ointment, ointment lead, zinc ointment, etc. • 100 g of olive oil, 8 g of yellow wax, white wax – 5 g, 20 g of pine resin and 1 tablespoon of fresh butter, mix well and heat over small fire for 10 minutes, stirring all the time. Keep the cream in a glass jar in the refrigerator. You can lubricate with the ointment a thin layer of gauze and apply to the affected area. • On a medium heat you boil 1/2 cup of olive oil with 50 grams of wax. The resulting cream is cooled and put into the jar. Store it in refrigerator. The use: wash the wound with hydrogen peroxide or 10% alcoholic solution of propolis, and then apply a bandage with ointment to the wound. Mix 50 g of propolis, 30 g of wax and of the juice of one lemon and heat over small fire to dissolve the wax. Cool and store in a glass jar in the refrigerator. Apply an ointment daily, fixing with plaster. A few days later you soften calluses in 2% hot solution of baking soda and remove. Traditional medicine has long used honeycomb for the treatment of many diseases. You can chew honey with honeycombs, cells consist mainly of honeycomb wax. Chewing of wax increases metabolism, causes severe salivation and, as a consequence – increases secretory and motor function of the stomach, cleanses the respiratory system. Teeth are cleared of plaque, it strengthens the gums, oral mucosa is healed, it cures a cold. When sinusitis, asthma, hay fever it is recommend to chew 1/2 teaspoon of honeycombs or zabrus every hour for 15 minutes. The remaining wax you can spit. (Zabrus – is wax caps that are cut from the honey comb before pumping). Wax contains carotene and vitamin A, so it is used in the treatment of certain skin diseases, stomatitis, gingivitis, glossitis, sore throat, etc. 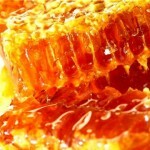 In Bulgaria they produce fortified candy, which includes beeswax and honey. Chewing of these candies strengthens the gums and teeth, increases salivation and gastric juice secretion, normalizes digestion. Wax has antibiotic action, preventing the growth and development of a number of pathogens. 1. Tearing stops after 3 minutes. 2. Stuffy nose after 3 minutes relieves; after 6 minutes it was possible to breathe through the nose. 3. Runny stops in 5 minutes. 4. Sore throat dissapears after 3-5 minutes. 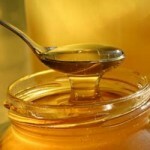 • In the three months prior to the expected onset of the disease it is necessary to take one tablespoon of honey after every meal for dessert, the best way – as an honeycomb, but the centrifugal honey is effective – it is recommended to take one tablespoon of it ( with a glass of water) overnight. • Two weeks before the expected disease you should, in addition, take a mixture of two teaspoons of honey and two teaspoons of apple cider vinegar in a half of glass of water or a glass – before breakfast and at night. Treatment should continue for as long as symptoms persist. • If necessary to chew the wax caps during the day to avoid the possibility of a cold nose and to breathe freely. It is known that the wax moth is a parasite in the bee family, and can digest wax. Moth, entering the hive, can ruin the entire bee colony. Beekeepers are fighting actively with it, but few people know about its curative properties. Meanwhile, back in the XVII century, it was used to treat tuberculosis, and as a means of retarding the aging process. Experiments with large wax moth larvae were started in 1889 by Mechnikov, a scientist wanted to get tuberculosis vaccine. His idea was based on the fact that the digestive enzymes of insect that feeds on bees wax, can destroy wax shell of TB bacteria. Experiments confirmed this assumption, but an attempt to get antituberculous vaccine failed. Student of Mechnikov continued investigations – professor S.I. Metalnikov. By studying the immune wax moth, he showed extraordinary stability of its larvae to the agents of tuberculosis, plague, diphtheria, and other pathogenic microorganisms to humans. Currently, the Russian Academy of Sciences (Institute of Theoretical and Experimental Biophysics, Russian Academy of Sciences, Moscow Region, Pushchino) studies chemical composition of alcoholic extract of large wax moth larvae. The secret of ancient medicine was known from Moscow homeopath S.A. Mukhin, who knew traditional medicine. In his youth, he contracted tuberculosis and wax moth larvae extract saved him. For years, doctors have worked with this medicinal product by adding extracts of herbs, and in 1961 they developed the effective combination of extracts of large wax moth larvae with biologically active plants. Thus was created a complex drug. Drug promotes healing of tuberculous cavities in the lungs, heals fresh myocardial scars after a infarction, preventing the formation of scar tissue. It was established that the wax moth larvae extract has free aminoacids, mono- and di-saccharides, nucleotide bases and their derivatives, fatty acids, biologically important macro-and micronutrients (a lot of zinc and magnesium). It also has biologically active substances produced by bees, as well as components that stimulate the growth and development of cells. 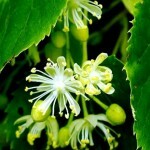 In the study of the pharmacological properties of the extract of the larvae of large wax moth was found that the drug is very active and has low toxicity, is stable in storage and does not give unwanted side effects, such as it is often observed in many other pharmacological and chemotherapeutics. Alcoholic extract from large wax moth larvae showed significant efficacy in a number of diseases. In pediatrics the alcoholic extract of large wax moth larvae is successfully used in the treatment of chronic bronchopulmonary disease, when conventional treatment (antibiotics or other chemotherapeutic methods) does not give a positive result. In a few days cough and temperature disappear, peripheral blood normalizes (hemoglobin increases in red blood cells, WBC normalizes), the extract restores immunity. The drug is promising for TB disease in children. Alcoholic extract of wax moth larvae is widely used in obstetrics and gynecology in the treatment of menopausal symptoms, infertility (miscarriage), it is perfectly eliminates anemia of pregnant women (in toxicosis of the first half of pregnancy) . With this preparation, hundreds of women have experienced the joy of motherhood, gave birth to healthy children. At the Moscow Research Institute of Sports the action of the drug was studied in a group of cyclists of high level of training. Sports doctors confirmed the experimental data that the alcohol extract of the larvae of a large wax moth has marked anabolic effect, increases endurance during overloads, has anti-stress activity. In addition, the drug can be successfully used to heal the athlete from the state, which resulted from the use of anabolic steroids. • Collect 5 g of wax moth larvae (well-developed, but with no signs of pupation). Pour 50 g of 70% ethyl alcohol. Infuse 5-8 days. Take 15-20 drops of the extract in water twice a day. For children, the number of drops should match the number of years (5 years – 5 drops) . Inhalation with propolis and wax: 60 g of propolis, 40 g of wax you put in aluminum mug with capacity of 300-400 ml and put in a water bath. You make inhalation in the morning and evening. Duration of procedure – 15 minutes. The course of treatment – 2 months. Polyarthritis has characterized persistent, progressive course that requires long-term treatment. It is prescribed a course of apitherapy. At the same time make applications of beeswax (zabrus), heated to 38-39°C (102 F) on the affected joints. Procedure time – 10-15 minutes. To improve circulation and prevent muscular dystrophy you alternate applications with a massage of the muscles of the limbs in a day. In the treatment of pyelonephritis it is recommended propolis. With the purpose of treatment is prescribed honey and api-larne (preparation of the bodies and cells of drones) , you make application of wax to the lumbar region. The wax is used in the perfume industry for resistant essential oil, which is not inferior in quality with rose and jasmine. 1 ton of wax gives more than 5 kg of essential oil, and the remains after processing the wax are used for industrial purposes (electrical engineering, printing, textile and glass industry). Bees wax is widely used in cosmetics, is found in many creams and facial masks. Cleansing Cream: wax – 6 g, borax – 0.5 g, peach butter – 27.5 g, water – 16 ml. Nourishing Cream: wax – 3 g, spermaceti – 6 g, peach butter – 24 g, glycerol – 4 g.
Cream for oily skin: wax – 5 g, ammonia – 5 ml, water – 7.5 ml. 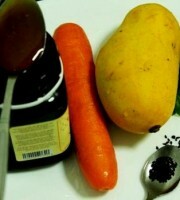 Hydrating mask: Wax – 50 grams, honey – 70 g, white lily bulbs juice – 30 ml. Ointment for wrinkles: white wax – 30g, honey – 30 g, onion juice – 30 ml, juice of white lily bulbs – 30 ml. Mix components and heat in a clay pot to dissolve the wax, stirring with a wooden stick, then cool. The ointment is applied to the face in the morning and night to prevent wrinkles and to remove appeared wrinkles. Appreciate your any beneficial blog site. Wherever in addition may possibly I get that kind of info printed in such a perfect method? I’ve got a task that we’re right now taking care of, and i also have already been within the look away with regard to similarly info. It’s besides got a buy 500 twitter followers uk and when I say “we,” I mean gamers– we lean to be friendly and welcoming. bee wax for thank you.